Searching for the perfect place to call home while you enjoy your time on the Buffalo River and everything around it? You have found the place. 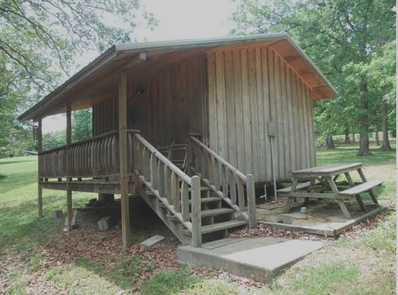 We offer exceptionally clean and enjoyable Cabins for rent on the Buffalo River. Each has a good sized covered porch and a fire pit. Linens, dishes, pots and pans are provided. Each cabin also has a coffee pot and a charcoal grill. 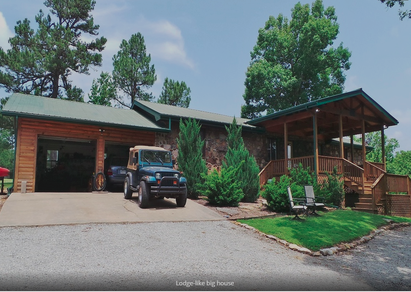 ​All of our cabins are recently remodeled and redecorated. The Hilltop House and the Hilltop Cabin are very close to each other and work well for groups that need both. 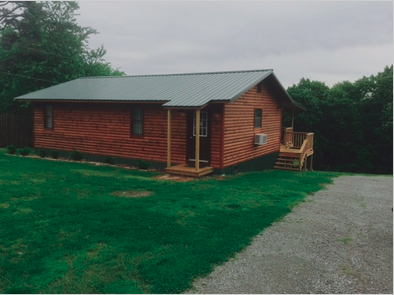 Our Hickory Nut Cabin is a perfect cabin for a couple. We are in a prime location for all of the amazing activities in the area. Rent all at once, or separately. We are particular about our Cabins and expect our guests to take care of them. We like them to stay in good condition for our family and others to enjoy for many years to come. We have many repeat customers and our bookings fill up fast, so get in touch with us soon! 1/8 mile from Wild Bill's Outfitters on the main road to Buffalo Point Camp Ground, approximately 1.5 miles from campground and the Highway 14 bridge. Your stay at our 5 star cabins awaits. Call us today as our cabins tend to be reserved early. 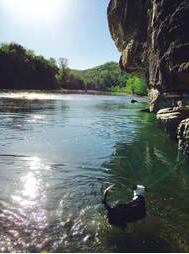 Your glorious Buffalo National River experience is only a phone call away!